Fed Chair Jerome Powell is talking about downside risks, citing the falling ISM Manufacturing PMI, concerns about China and more. The world's most powerful central-banker did say that that the job market is doing well and wages are rising, repeating his previous comments. However, the nod to downside risks pushes stocks higher, especially his openness to change the balance sheet policy. Previously, the Fed Chair said that the Quantitative Easing policy is on "autopilot." The change is significant. 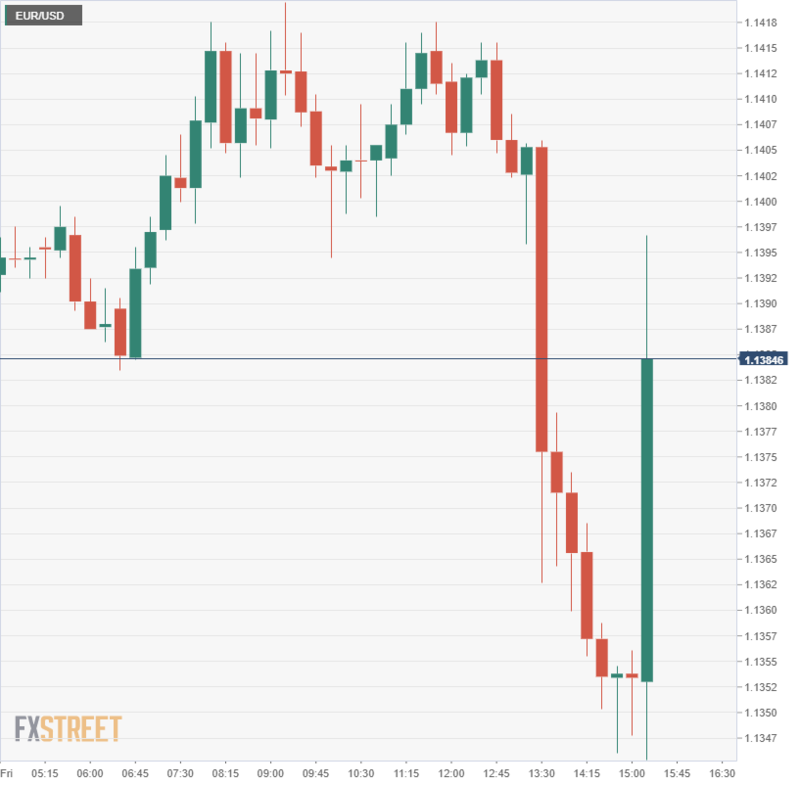 The US Dollar is sliding across the board with EUR/USD climbing to 1.1400 after falling below 1.1350 on the upbeat Non-Farm Payrolls report earlier. Here is the move on the 15-minute chart. Earlier, the Non-Farm Payrolls report showed a gain of 312,000 jobs, far above 177,000 expected. In addition, wages rose by 0.4% in December and 3.2% over 2018, a new cyclical high for the annual figure. This is the positive data that the Fed Chair referred to before pointing to the risks.